Because we don't LOVE you, we just really, really like you! 1. A gilded scratch-off map so you can make the most of future trips you two take together. Now might be the time to share you *only* like beach vacations. 2. A dozen hand-dipped chocolate strawberries to give some ~sweets to your sweet~ without going overboard. You're about to learn if they're good at sharing their dessert. They'll get 12 chocolate-dipped strawberries! Get them from Mrs. Fields for $44.99. 3. A set of movie-themed crew socks for celebrating the fact you both have excellent taste in films. OBVIOUSLY, Titanic is the greatest love story of all time. Count us in, minus the ending. The only person more excited to get these would be Dobby. They have scenes from Harry Potter, Titanic, King Kong, and Léon The Professional. Get a set of four from Amazon for $9.99 (available in six styles). 4. A thick cable scarf, because "stay home with me forever so I can keep you warm" may be a little too much, too soon. This'll meet you right in the middle. 5. 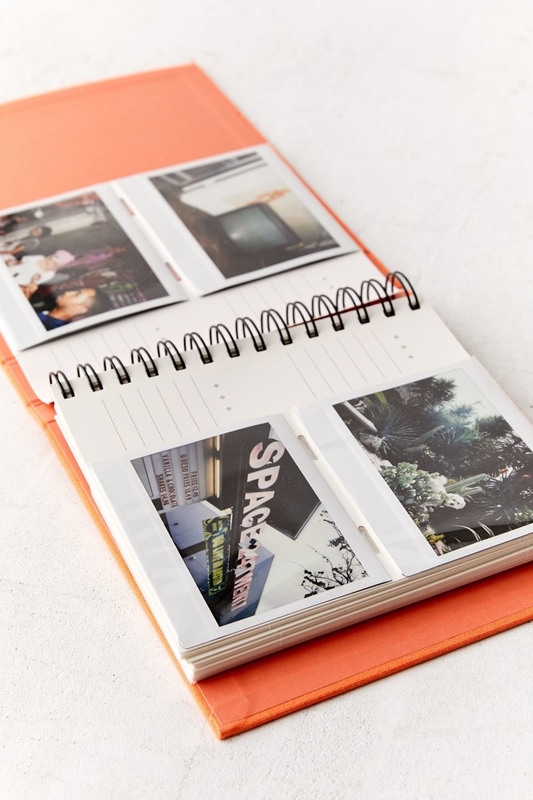 A ~cheeky~ photo album to fill with wholesome memories, only! Get your head out of the gutter! It's best for Intax pictures! Each space has room for a caption with the picture. Feeling splurge-worthy? Get them an Fujifilm Instax Mini camera from Amazon for $49.99 (available in five colors). 6. An initial necklace in both 18K gold and sterling silver that'll keep your new S.O. on-trend without having to splurge on the far more expensive version available in just about every boutique and department store. Get it from Amazon for $10.97 (available in letters A-Z and in silver and gold). 7. A mini cast iron skillet so you can make sweet desserts together for years to come. Plus, they're so cheap you can buy 'em as a set! See what won best cast iron skillets on BuzzFeed Reviews. 8. A wine aerator for making your future at-home date nights feel super sophisticated, even if you two drink exclusively grocery store wine. Why, you say? 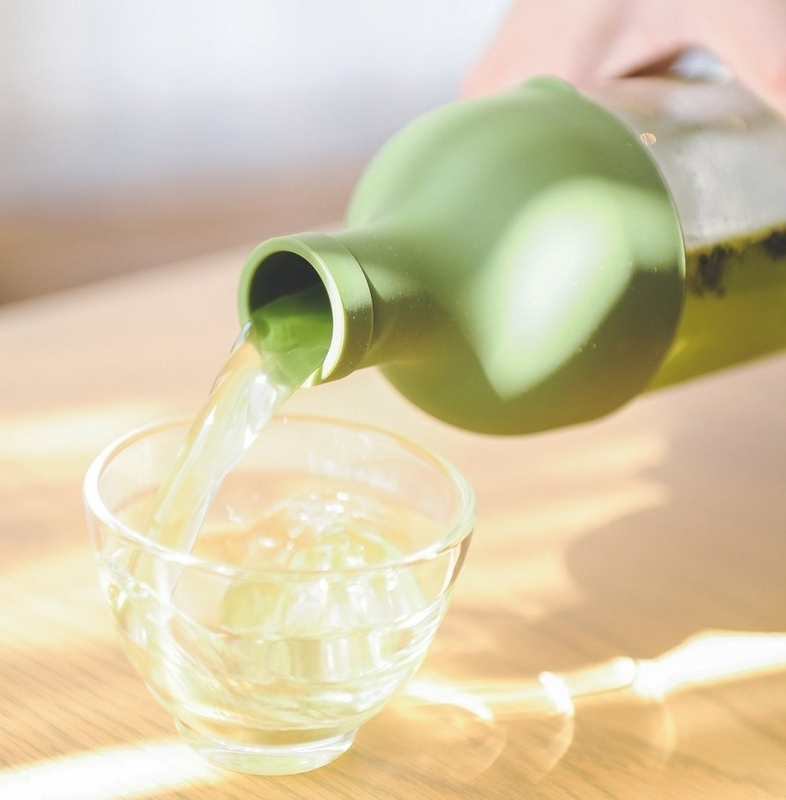 The attachable aerator will infuse oxygen to release any inexpensive wine's ~aromas~ and bolden the taste right out of the bottle — so basically you’re about to become a sommelier. 9. A pair of heart-shaped sunglasses, because your honeymoon stage isn't over and everything is still looking *rosy*. This'll make sure that lasts. Get them from Amazon for $9.91 (available in 16 styles). 10. A pair of ear hooks that'll keep their Apple EarPods and AirPods securely and comfortably in their ears, even when they're working out. Will they feel indebted to you forever, no matter what happens? YES. Get them from Amazon for $11.95 (available in three colors). 11. A leather accordion wallet so you can gift them luxury without having to blow the bank. Your first Valentine's Day together will be ~in the bag~. Plus! It has three internal gusseted card slots and one external card slot so they can fit lots (and lots) of credit cards and cash. They owe their new organizational skills to YOU. Get it from Dagne Dover for $28+ (originally $65; available in 12 styles). 12. A set of rose gold stainless steel straws perfect for anyone who just really freaking loves the turtles — yes, you HAVE been listening to their impassioned speeches. You just won major points, my friend. This set comes with two cleaning brushes, and they're dishwasher-safe! Get a pack of eight from Amazon $11.97 (available in four colors). 13. A set of lightweight bamboo pajamas for gifting your favorite hot sleeper the ability to get a good night's sleep. No more sleeping next to a sweaty mess (though it may be too soon to flat out tell them this). Get them from Amazon for $19.99+ (available in sizes S-3XL and 13 colors). 14. 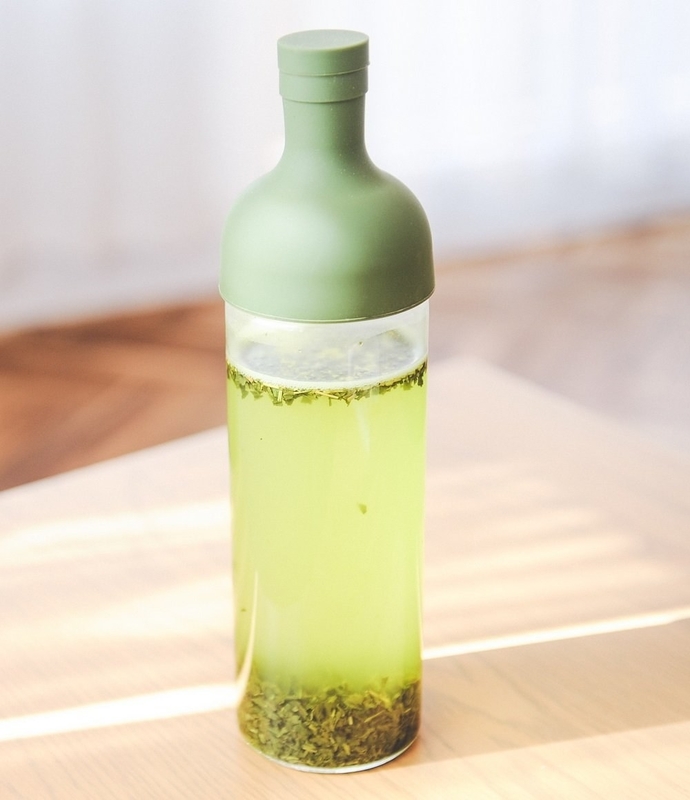 An overnight cold-brew filter bottle, because this won't spill the tea on how much you actually spent if you're looking to play it safe. But it WILL reveal your sophisticated taste. Get it from Amazon for $19.25+ (available in two sizes and four colors). 15. A collection of The New York Times greatest crossword puzzles that'll start a new romantic Saturday morning tradition — as long as one of you isn't too competitive. *Cough, cough*. 16. A subscription to BootayBag to give them the gift that keeps on giving — at least when it comes to chic undies. You can even choose a three month package so you don't feel too ~committed~. You can choose to send either one or two pairs of underwear each month for three months, six months, or one year. Plus! You'll select which styles best ~fit~ their preferences: only thongs, never thongs, or both. Gift a subscription to BootayBag for $39+/month. 17. A bottle of hot honey so you can keep things spicy long after the honeymoon stage is over. At least when it comes to their pizza. Check out our review of this spicy honey some delicious ideas! 18. A set of Game of Thrones tarot cards for settling once and for all who will sit on the Iron Throne (my bet is on the literal mother of DRAGONS, but what do I know). Nothing like angry debates to bond you guys. Get them from ModCloth for $10 (originally $25) or from Amazon for $18. 19. A pair of druzy tassel earrings, because they're now officially your favorite *head turner* and it should show. Will they think you got these at a fancy department store? Yep. 20. An insulated wine tumbler cup that'll be a fantastic excuse to take these with you wherever you go. Is it really a romantic stroll without wine? Not really. The lids have a rubber gasket seal and an open/close slider to keep your wine in the cup. Also, they won't shatter like wine glasses. 21. A gorgeous floral bouquet with roses, alstroemeria, and more to give them a pleasant surprise at work. You can officially consider yourself their favorite person. Just pick the location and date and FTD will take care of the rest! Get it from FTD Flowers for $35+ (originally $40+; available in three sizes). 22. And! An instructional book on how to draw gorgeous florals so you can take classic flower arrangements to the next level. Future Valentine's Days are about to get very competitive. 23. A Kaja lipgloss stick with a heart-shaped tip for a cute, noncommittal gift that's so much more unique than typical sweetheart candy. There's even a shade called ~be mine~! Get it from Sephora for $17 (available in four shades). 24. A pair of lightweight mesh sneakers, because these'll look great with literally everyone's personal style (especially useful for anyone who's still figuring out their S.O. 's ~look~). Get them from Amazon for $25.99+ (available in sizes 6-12.5 and 11 colors). 25. 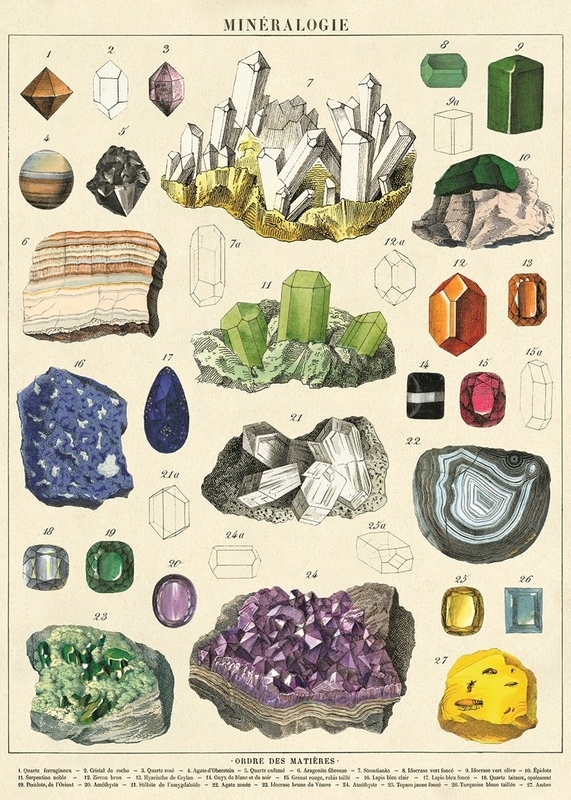 A gemstone and dandelion poster that'll bring them sparkly jewels and bouquets of flowers *without* the financial commitment. 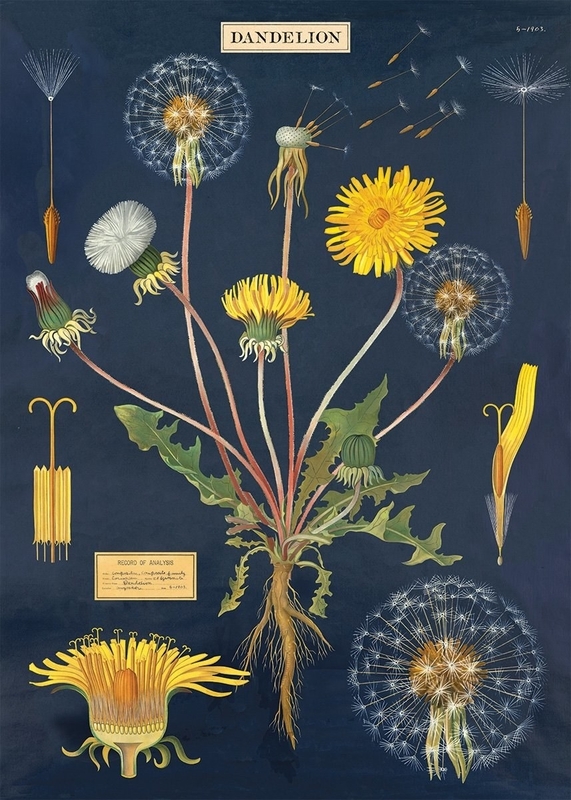 Get them from Amazon: the gemstone poster for $8.19 and the dandelion poster for $8.28. 26. A ceramic dinosaur planter so you can merely IMPLY that you'd like your relationship to never go extinct. Too soon? Too bad. Get it from Amazon for $16.93 (available in two colors). 27. 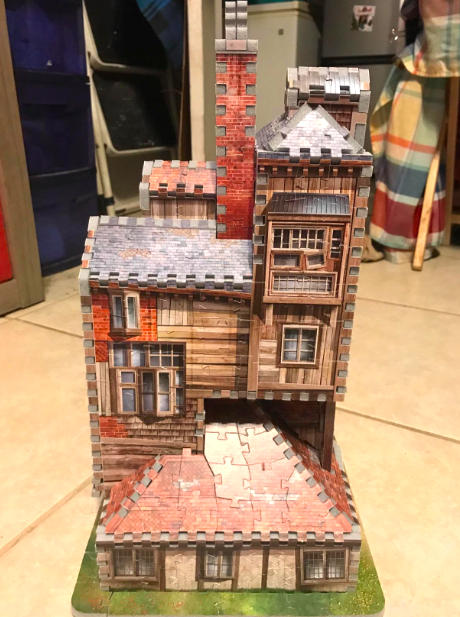 A 3D puzzle of the Weasley family home or Diagon Alley for spending the afternoon recreating the book you two definitely talked about your entire first date, aka the reason you guys are even together. "WE CAN'T BOTH BE GRYFFINDOR," you yell tearfully. 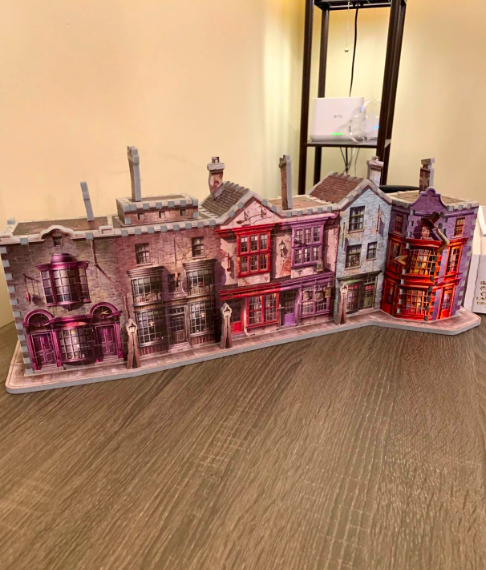 Get them from Amazon: Diagon Alley and the Weasley's home for $31.50. 28. A cuddly mini sloth with an included ~sloth guide~, because you may not be planning on taking them to the orphanage in Costa Rica just yet, but you can still give them unlimited hugs. This lil guy comes with a book filled with fun facts about sloths! 29. 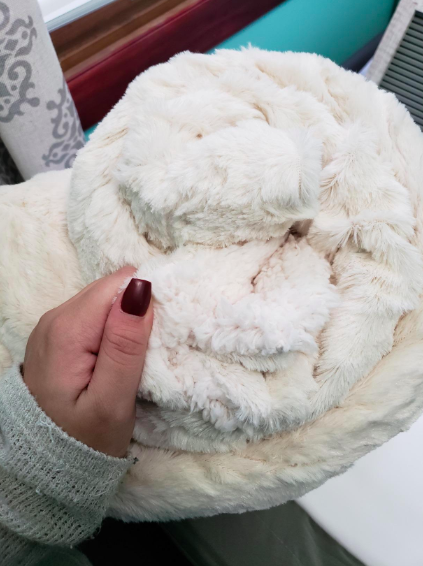 An incredibly plush faux fur blanket that'll make every future movie night feel extra luxurious. Warning: you're about to learn if they're a blanket hog. Get it from Amazon for $29.98 (available in six sizes and 17 colors). 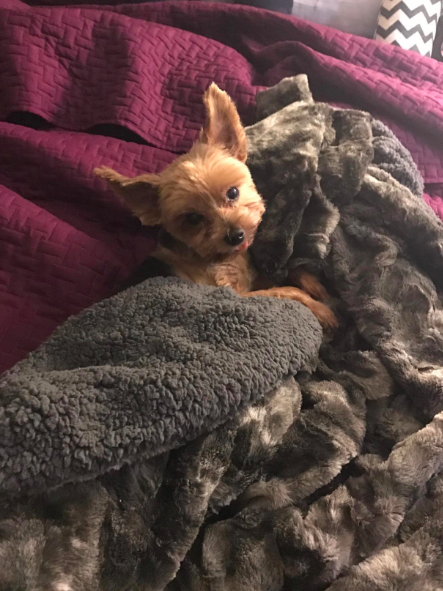 For more about this, check out "This Impossibly Cozy Blanket Is Everything You Need This Winter". 30. An adorable mini tin filled with individually wrapped buttercream frosted heart cookies, classic sugar cookies, and more to truly get to their heart through their stomach. To be honest, I don't believe there's any other way. They'll get an assortment of ten cookies! Get it from Cheryl's Cookies for $24.99. 31. A stainless steel French press so you can upgrade from your initial coffee dates to daily fancy-feeling brews. Hopefully by now they've figured out that you don't speak before caffeine. 32. A set of fluffy headbands for making your new nighttime routine feel extra cute (because you will obviously be using one, as well). I suggest you wear these in your first picture as a couple. 33. A VR headset, because this'll solve any gifting concerns if you're dating a techie. Affordable + futuristic = happy everyone. 34. 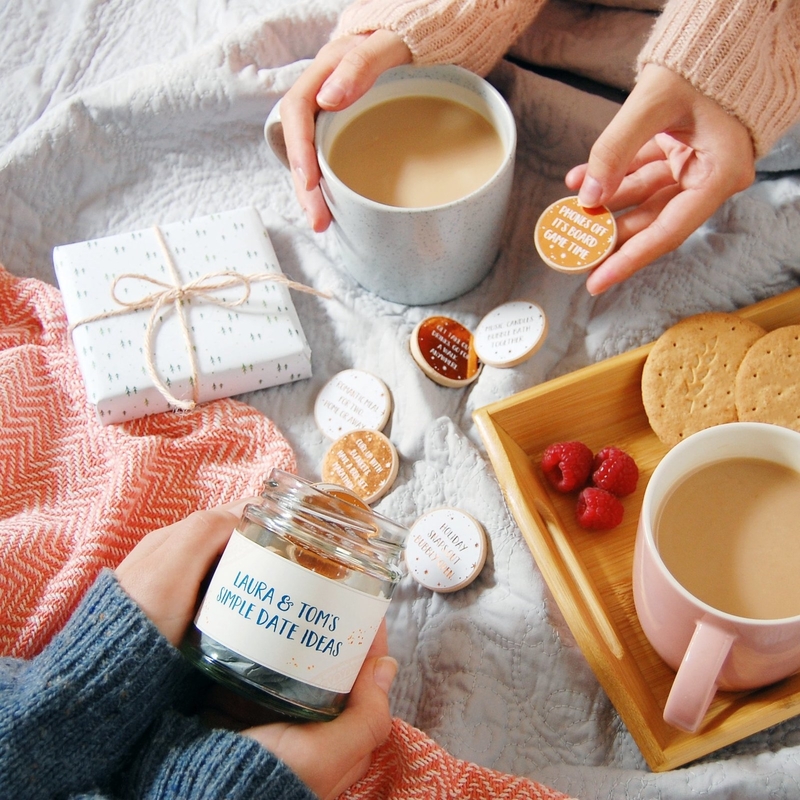 A personalized jar filled with pretty date idea tokens that'll finally nix the whole "I don't know where I want to eat, but I also do, please just magically guess it." That was already getting old. "NOT THAT PLACE, I mean sure!" 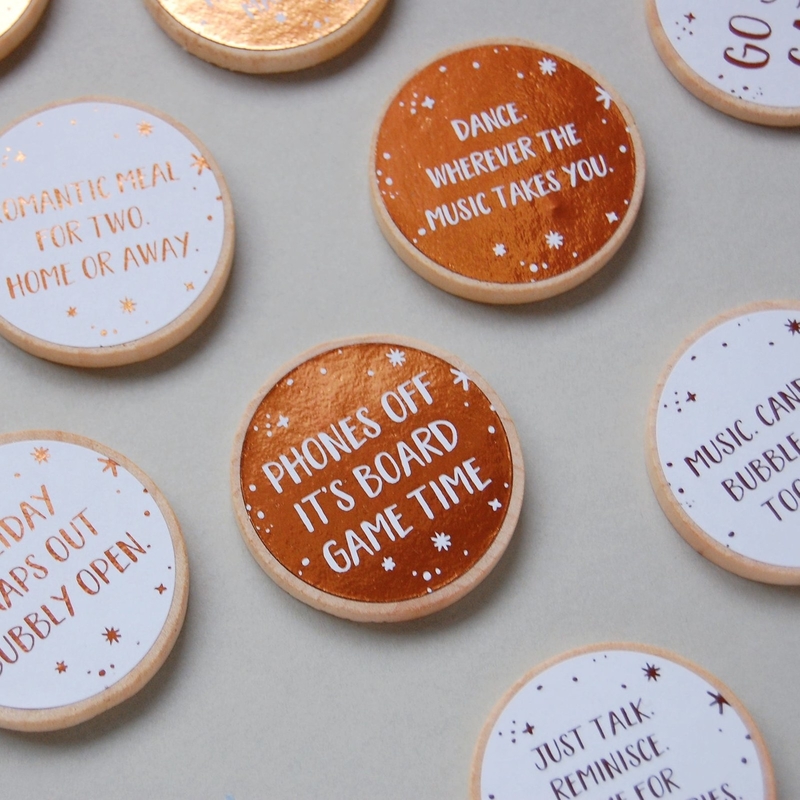 It comes with 15 foiled tokens with great ideas like, "phones off, it's board game time." Just fill out your names in the personalization section for the jar. For extra, you can add 10-20 blank tokens to fill out yourself and have it gift wrapped! Get it from Clara and Macy on Etsy for $24.52+. 35. A pack of Vosges chocolate with flavors like mint matcha, *bacon*, and pink Himalayan salt so you can establish early on that you know better than to settle for corny candy. 36. A lace nighty or chiffon babydoll for switching it up from your usual nighties. I know you guys already have a routine, but they'll still be waiting for you tomorrow. I promise. Get the lace nighty from Free People for $58 (available in sizes XS-L and two colors) and the chiffon babydoll from Torrid for $48.90 (available in sizes M-6X). 37. A headphone jack splitter with independent volume controls, because this'll prevent any fights over whether your show is too loud or soft. Ah, romance. 38. 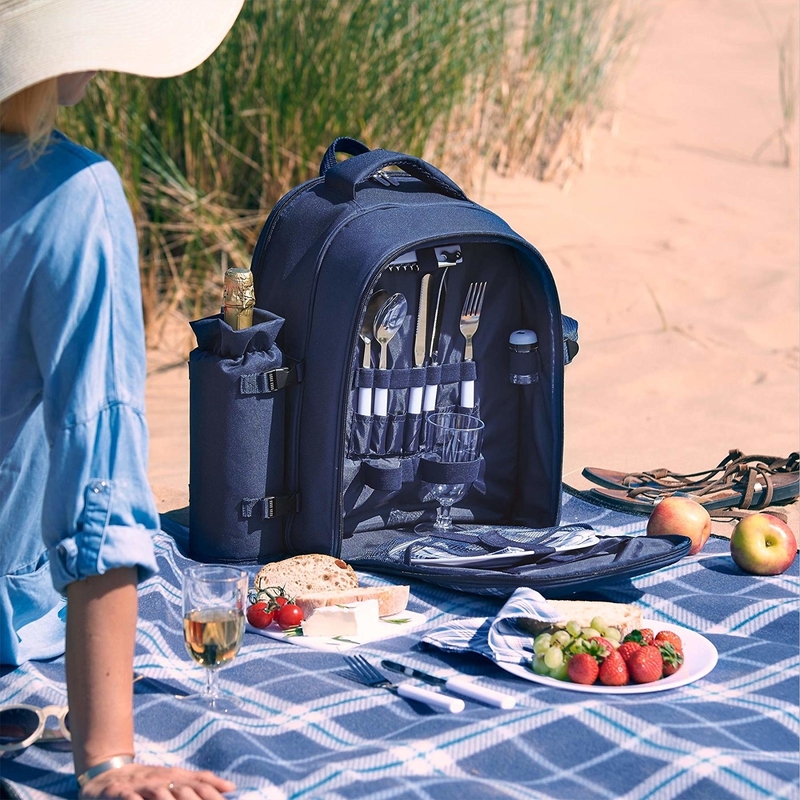 A two-person picnic backpack that'll inspire charming dates on the beach, your living room, WHEREVER. Behold: a low-budget, super easy staycation you can take anytime. 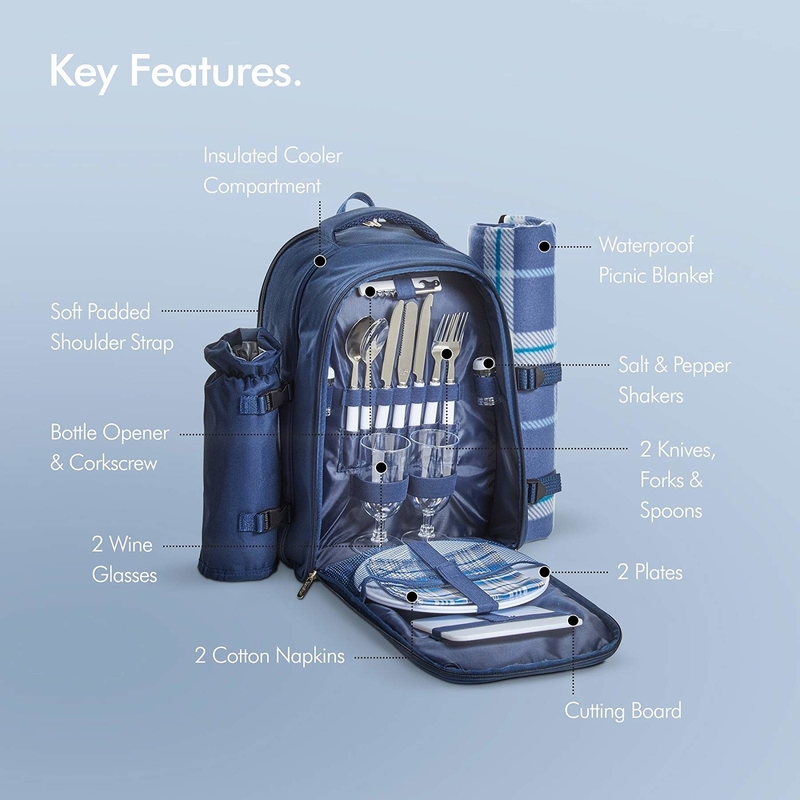 The cooler section keeps food fresh and the backpack is stocked with: a plaid blanket, two stainless steel knives, two forks, two spoons, two BPA-free dinner plates, two plastic wine glasses, and two washable cotton napkins. And! Salt-and-pepper shakers, a serrated butter/cheese knife, plastic chopping board, and a corkscrew with a bottle opener. BON APPETIT.